With 3 major hurricanes in 2017, last year was The Weather Channel’s most-watched since 2013. It looks like The Weather Channel is hunkering down for another stormy patch. COO Freddy Flaxman is leaving the company, and over the new few months, CEO David Shull will be spending more time in L.A. with the Weather Channel’s new parent company Entertainment Studios, as opposed to Atlanta, where the Weather Group is headquartered. 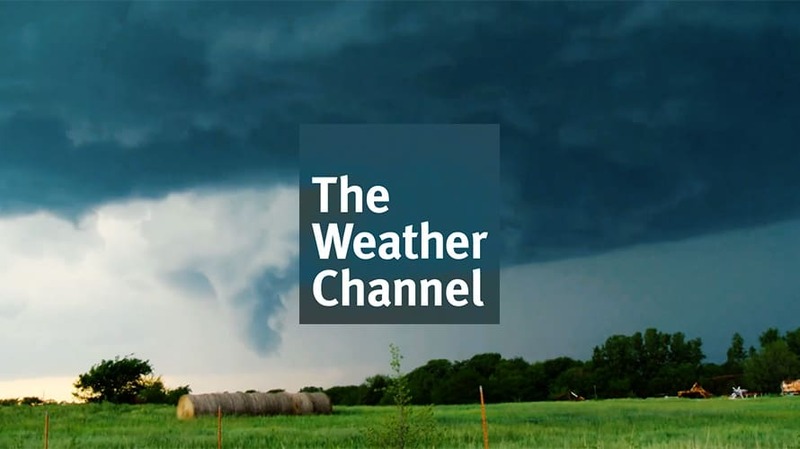 It has been a volatile few years for the Weather Channel, including layoffs in 2015 , the 2016 departure of former Good Morning America weather anchor Sam Champion, and programming changes driven by an evolution in how audiences consume weather news. Weather Channel co-founder John Coleman passed away in January, and in March, The Blackstone Group, Bain Capital, and Comcast/NBCUniversal sold the Weather Group to Entertainment Studios, a media company owned by media entrepreneur and former TV host Byron Allen, for a reported $300 million. But amidst all that turmoil, 2017—which had three devastating hurricanes—was The Weather Channel’s most-watched year since 2013, making it one of the few cable networks with year-over-year audience growth in 2017. The network traditionally beats the cable news competition in the adults 25-54 demo during periods of severe weather, and it consistently tops the Harris Poll’s list of Best TV News Brands. During April’s upfront event, Weather Channel execs touted the second iteration of ad-supporting streaming service Local Now, which allows millions of users across the U.S. to access hyper-local weather, traffic, news and sports content in myriad communities. The Weather Channel svp of ad sales Barbara Bekkedahl told Adweek in April that Allen and the network’s new owners were enthusiastic about its future.